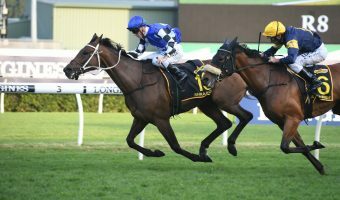 Late inclusion Osborne Bulls is ready to run the race of his life when he lines up against a high quality field of sprinters in the 2018 $13m The Everest (1200m) at Randwick on Saturday. Osborne Bulls, above, is ready to peak third up in The Everest at Randwick. Photo by Ultimate Racing Photos. 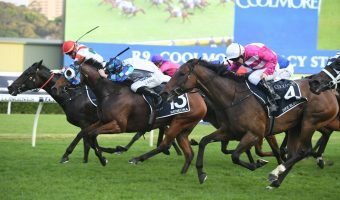 Osborne Bulls received the late call up by slot holders the ATC to replace his stablemate after Home Of The Brave developed a temperature mid-week and was ruled out of The Everest. 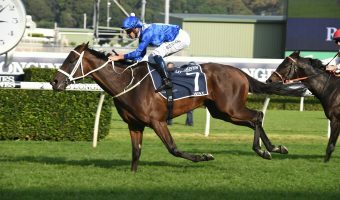 Trainer James Cummings was happy to have Osborne Bulls carry the Godolphin royal blue colours in the world’s richest race on turf and said that the five year old was ready to peak third up from a spell. “But I can say that he’s as good as I’ve ever had him. 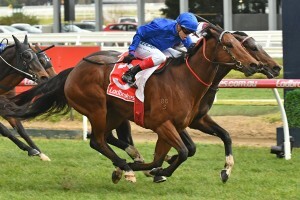 Osborne Bulls has worked his way up through the grades and Cummings wasn’t disappointed with the gelding’s first attempt against Group 1 opposition when fifth to Jungle Cat in the Group 1 $500,000 Ladbrokes Sir Rupert Clarke Stakes (1400m) at Caulfield on September 22. “He was going into that race off a setback and it was a high pressure Group 1 so I’d be forgiving him that one,’’ Cummings said. 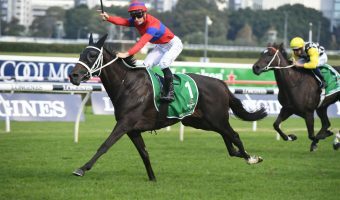 Osborne Bulls will jump from barrier five in the twelve horse The Everest field, the same barrier that Home Of The Brave drew before he was starched and the the five year old will be ridden by Tommy Berry. 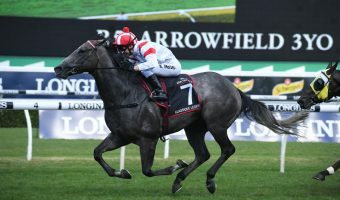 Betting at Ladbrokes.com.au for The Everest has Osborne Bulls marked as an $18 chance while last year’s winner Redzel holds a slight advantage at the top of the market order at $6.50 over the Lindsay Park trained Vega Magic and Anthony Freedman’s Group 1 winning mare Shoals who share the second line of betting at $7. Next in the betting at $8 is the Gerald Ryan trained Trapeze Artist just ahead of the Irish sprinter U S Navy Flag at $8.50 and Santa Ana Lane at $9.